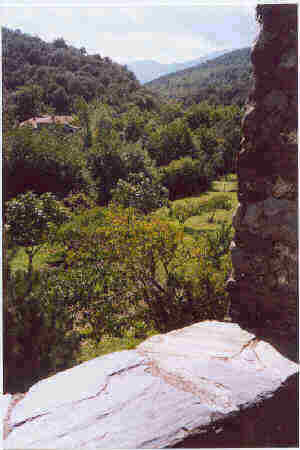 Le Ménestrel looks out over the valley, the last house in the village on your way to the gardens and the riverside. 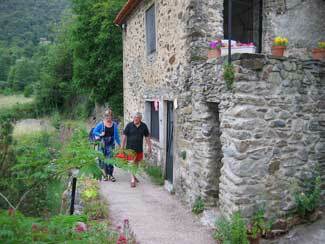 The locals say "Le Ménestrel" is at least 300 years old, but the two gites were renovated only a few years ago. The thick stone walls keep the house cool in summer, warm in winter. The house is divided into two apartments, each furnished for two persons, with a folding bed available for a third person or a child. Both gites have their own separate entrance, a large bathroom with WC, bidet, washbasin(s) and shower, and a living room/bedroom of approximately 6 x 4 meters, with wood-burning stove and storage space. Le Ménestrel I * top floor, full kitchen; windows facing south and west, door facing east. Le Ménestrel II * downstairs, kitchen with gas range, electric kettle, coffee machine and fridge; windows and door facing south. When renting both gites, use can be made of a staircase inside the house. This is ideal for families with children. In this way, you have the whole house, with two bathrooms, at your disposal. Day of arrival and departure is Sunday. * Sheets, bedcovers and pillow cases are provided. * You must provide your own towels, dishcloths, etc. Should this pose a problem, you can also rent these items on the spot. 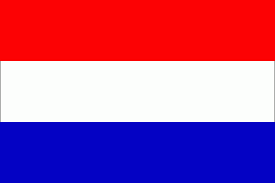 *Upon arrival, you will asked to pay a deposit of € 50, which will be returned to you after the gite has been checked and the key returned. *When you arrive, the gite will be clean; we expect you to leave it clean upon departure. *You have free access to the large, sunny garden and swimming pool belonging to "Le Troubadour". On request, there is also a third house available: a renovated apartment in the village with two bedrooms, a living room, kitchen and a fireplace.